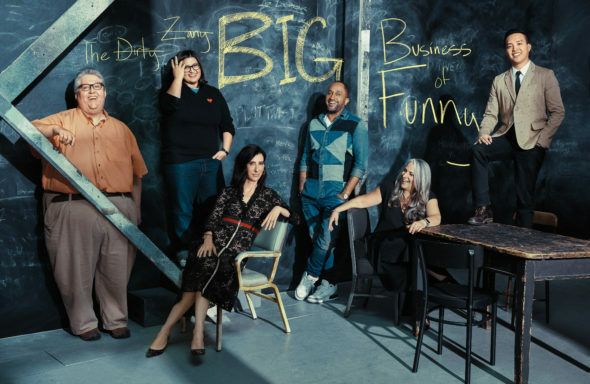 Close Up with the Hollywood Reporter TV show, season two, episode one. Photo Credit: Ruven Afanador/The Hollywood Reporter. SundanceTV has announced season two of its Close Up with The Hollywood Reporter TV show premieres Sunday, June 26, 2016 at 10:00am ET/PT. The second season of 14 one-hour episodes will be split into two half seasons, with seven episodes focusing on potential Emmy® nominees this summer. Seven episodes featuring potential Oscar® nominees are slated for later this year. The season two premiere episode features TV drama actresses (pictured above): Sarah Paulson, Julianna Margulies, Kerry Washington, Constance Zimmer, Kirsten Dunst, Regina King, and Jennifer Lopez. 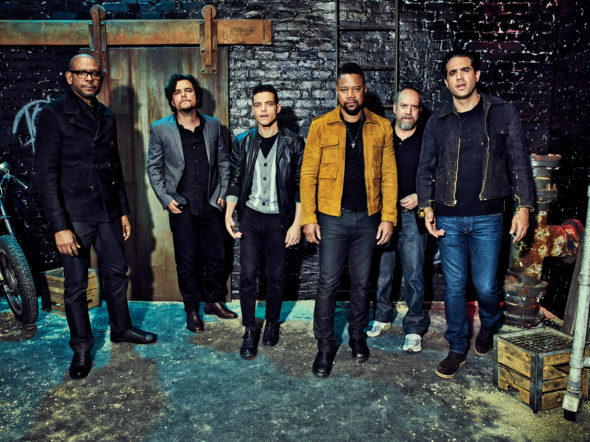 The second episode on July 3, features TV drama actors: Rami Malek, Bobby Cannavale, Wagner Moura, Cuba Gooding Jr., Forest Whitaker, and Paul Giamatti. The other TV-centric episodes feature comedy actresses, comedy actors, drama showrunners, comedy showrunners, and reality show hosts. Get the details from this SundanceTV press release. NEW YORK, NY – June 15, 2016 – SundanceTV’s non-fiction series “Close Up with The Hollywood Reporter,” produced in partnership with The Hollywood Reporter, will return on Sunday, June 26 at 10 am/9c. The upcoming second season of 14 one-hour episodes will be split into two half seasons, with seven episodes focusing on potential Emmy® nominees this summer and seven episodes featuring potential Oscar® nominees presented later this year. 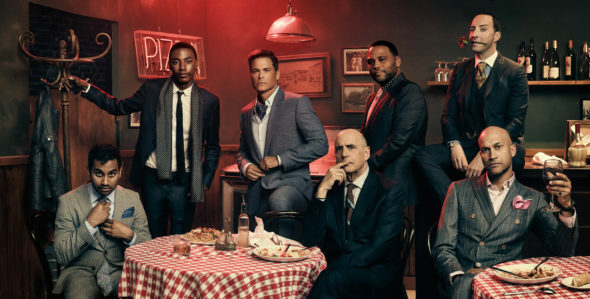 “Close Up with The Hollywood Reporter” features frank and revealing roundtable discussions with notables from the television and film communities, including some of the most talented actors, actresses, directors, writers, show runners and producers working in the industry today. Following each episode’s debut on SundanceTV, it will be available via SundanceTV’s TVE platform. Also the next day, The Hollywood Reporter will post an uncut version of the episode on thr.com. Close Up with the Hollywood Reporter TV show, season two. Photo Credit: Eric Ray Davidson/The Hollywood Reporter. Close Up with the Hollywood Reporter TV show, season two. Photo Credit: Miller Mobley/The Hollywood Reporter. The Hollywood Reporter is well known for hosting influential roundtable conversations with industry insiders, garnering their own Emmy® Award for a roundtable conversation titled The Hollywood Reporter in Focus: The Wolf of Wall Street, which featured Martin Scorsese, Terence Winter, Leonardo DiCaprio and Jonah Hill. Other A-listers who have taken part include Angelina Jolie, Channing Tatum, Benedict Cumberbatch, Ben Affleck, Jon Hamm, Claire Danes, Mark Ruffalo, Mindy Kaling, Christopher Nolan, Richard Linklater, Matthew Weiner, Vince Gilligan, Michelle King, Jenji Kohan, Mike Judge, Jeff Daniels, Edie Falco and Andy Samberg. “Close Up with The Hollywood Reporter” represents a continued commitment by SundanceTV to innovative, informative unscripted programming that sheds light on the world of filmed storytelling and pop culture. The series is executive produced by Janice Min, Stephen Galloway, Matthew Belloni, and Jennifer Laski from The Hollywood Reporter, Paul Haddad from SundanceTV and produced by Stephanie Fischette from The Hollywood Reporter. What do you think? Did you watch the first season of Close Up with The Hollywood Reporter? Which second season episodes do you most want to see? More about: 500 Questions, 500 Questions: canceled or renewed?, America's Got Talent, America's Got Talent: canceled or renewed?, American Crime, American Crime Story, American Crime Story: canceled or renewed?, American Crime: canceled or renewed?, Billions, Billions: canceled or renewed?, Black-ish, Black-ish: canceled or renewed?, Broad City, Broad City: canceled or renewed?, Close Up with The Hollywood Reporter, Close Up with The Hollywood Reporter: canceled or renewed?, Confirmation, Confirmation: canceled or renewed?, Crazy Ex-Girlfriend, Crazy Ex-Girlfriend: canceled or renewed?, Diners Drive-Ins and Dives, Diners Drive-Ins and Dives: canceled or renewed?, Downton Abbey, Downton Abbey: canceled or renewed?, Fargo, Fargo: canceled or renewed?, Fresh Off The Boat, Fresh Off The Boat: canceled or renewed?, Getting On, Getting On: canceled?, Grace and Frankie, Grace and Frankie: canceled or renewed?, Hollywood Game Night, Hollywood Game Night: canceled or renewed?, Jane the Virgin, Jane the Virgin: canceled or renewed?, Key & Peele, Key & Peele: canceled or renewed?, Lip Sync Battle, Lip Sync Battle: canceled or renewed?, Marvel's Jessica Jones, Marvel's Jessica Jones: canceled or renewed?, Master of None, Master of None: canceled or renewed?, Mom, Mom: canceled or renewed?, Mr. Robot, Mr. Robot: canceled or renewed?, Narcos, Narcos: canceled or renewed?, Roots (2016), Roots (2016): canceled or renewed?, Scandal, Scandal: canceled or renewed?, Shades of Blue, Shades of Blue: canceled or renewed?, Shark Tank, Shark Tank: canceled or renewed?, SundanceTV TV shows: canceled or renewed?, The Carmichael Show, The Carmichael Show: canceled or renewed?, The Good Wife, The Good Wife: canceled or renewed?, The Grinder, The Grinder: canceled or renewed?, Transparent, Transparent: canceled or renewed?, UnREAL, UnREAL: canceled or renewed?, Veep, Veep: canceled or renewed?, Vinyl, Vinyl: canceled or renewed?